The Outer Worlds is a space-faring RPG being developed by the same studio that created Fallout: New Vegas, but it’ll be borrowing more than just its western theme from Bethesda’s post-apocalyptic series. Combat will utilise Obsidian’s take on Fallout’s famous VATS system. In an interview with GameInformer, co-director Tim Cain introduces Tactical Time Dilation (TTD). It’s a specific skill that players will need to spec into, that will slow down time allowing you to move around and line up shots against your targets. If you’re a fan of the Fallout series, that’ll sound awfully familiar, although there are a few things that set it apart from VATS. For one thing, Fallout’s system is much more of a ‘pause’ function, and allows you to select distinct parts of your opponents’ bodies, showing you the likelihood of you actually hitting your shot. TTD feels more like bullet time, but lining up specific shots does convey its own benefits – hitting an enemy in the head will finish them off, but aiming at their legs will cause them to hobble slowly towards you. Lead designer Charles staples says that TTD is perfect for people who “are not the best FPS players,” but if you’d rather not lean into the shooter elements at all, you can go down a different path. The Outer Worlds features ‘leader’ characters, who won’t be of much use with a weapon in their hands, but who transfer their own combat perks to their companions, who’ll form a key part of combat. 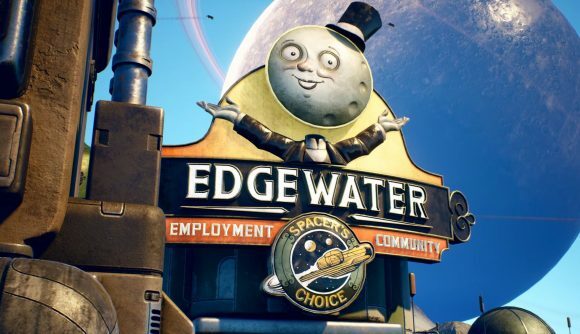 The Outer Worlds was announced at The Game Awards 2018, much to the chagrin of disillusioned Fallout 76 players. Not much is known about it yet – least of all a release date, but we do know that we can expect to see it some time this year.